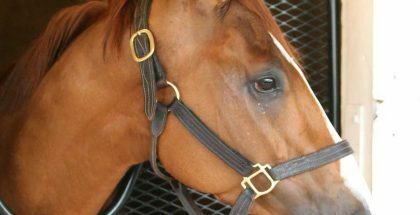 A True Kentuckians Guide To The Kentucky Derby by Kirby C. Grimes: As a Kentuckian, I am often asked if I have been to the Kentucky Derby. Usually, I fumble for words and say that I indeed went to the Derby once. That is a lie. The vast majority of Kentuckians have never been as we ceased attending some decades ago, around the time John Y. Brown Jr was governor. When the big race does approach and should you be sufficiently sober, please stand and be respectful during My Old Kentucky Home. You may be stunned at this revelation and wondering if I am a true Kentuckian. I am, indeed, one of the chosen few to have been born in the Commonwealth. Yes, people from Kentucky flock to Churchill Downs in droves, but these aren’t actually Kentuckians, you see. There is a distinction between the two that is rarely spoken of and never precisely defined. The best way to understand this conundrum is to ask someone, “Where in Kentucky are you from?” If they answer with the name of a city or town, they are not a native Kentuckian. True descendants of Daniel Boone and Colonel Sanders will answer with the name of their county. We are fiercely proud of each of our 120 counties. Anyways, back to the horses. The Kentucky Derby was once a genteel gathering of Southern Gentlemen and was more soiree than racing extravaganza. It was more of an excuse to dress up as well as a means to eat large spreads of food that otherwise their doctors would forbid them from eating. That damn gout – who created that monster anyways? I almost forgot the whiskey. Large amounts of it as well. Scotch? No, sir. Irish whisky? We will pass. Surely you must mean Tennessee whiskey? No, no, and no. For your own safety, please leave that swill at the state line. In the Commonwealth, we only consume fine Kentucky Bourbon made with pure limestone water and the best corn this side of Iowa. Of course, you damn Yankees (this is not meant in a derogatory way, for in such situations that require an insult we use one of our tactile instruments) will want to sip a Mint Julep. Be my guest – I will even buy you one as it is an experience you will never forget. And, one that you will never wish to experience again. Instead, ask for a Woodford on the rocks or Makers and Coke as you will want to experience those many times in the future. On the food side, you will likely be confronted with burgoo. At least, what is passed off as burgoo. Please save your money and bet an extra $10 to win on Nyquist. Dinty Moore makes better beef stew, and beef stew is what they give you when order burgoo. You will, however, need to try a Hot Brown. This, my dear brethren, is the emperor of all sandwiches. My limited vocabulary is unable to accurately describe this manna from on high. Once the aforementioned win bet, well, wins, take your winnings down to the Brown Hotel in Downtown Louisville and savor a meal fit for King George himself. Upon arriving at Churchill Downs, you will likely feel that, somehow, you have wandered into a fashion show rather than a racetrack. Don’t be alarmed, unless you spill your Mint Julep on a lady’s dress. Then, you are up a creek without a paddle as stained items cannot be returned to Macy’s the next day. However, do try to be properly attired; this isn’t Royal Ascot but fairly close. Of course, you will see some guys in beer-stained University of Kentucky t-shirts with their hats on during the national anthem. Just ignore them; they are locals. 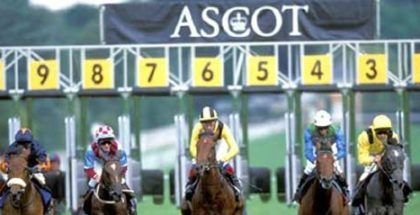 On the betting side, I can’t give you much advice as the entries have not been taken yet for the Derby undercard. However, two things are certain to occur. 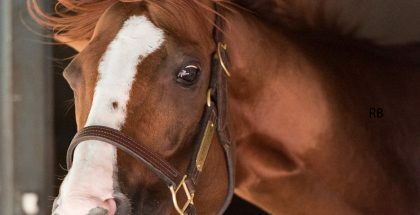 Julien Leparoux will win a race, and D. Wayne Lukas will not. Should either of those two not occur, I do hope you are right with your maker. Also, remember, the stretch at Churchill Downs is long, and I do mean long. Oh, and the turf course was begrudgingly added, so don’t expect it to be like Belmont and Saratoga. When the big race does approach and should you be sufficiently sober, please stand and be respectful during My Old Kentucky Home. Yes, I know they only play part of one stanza, but at least they try. Contrary to popular belief, nobody actually cries during the playing of it. Those are actually tears of pain from alcohol levels dropping in people’s bloodstreams. You are a brave guy or gal as I wouldn’t attend the Derby for any amount of money. Churchill Downs is too old and too small for such large crowds. The booze is cheaper at my house, and I can see every horse on my 60” plasma television, unlike those at the track. Many never see an actual horse the entire day. 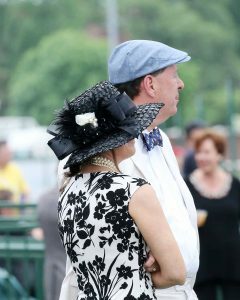 The Derby is an experience, I must confess, especially if one eats the right things, avoids the Mint Julep. and makes the right bets. However, it is not an experience most of us true Kentuckians would ever wish to experience. We would be too drunk by the fifth race to actually remember we even visited Churchill Downs.